A variation, for those not balletically inclined, is a short solo piece in a classical ballet. There are lots of versions of the classics out there. But in every version of Don Q, Kitri does the bit with the fan, in every version of Sleeping Beauty, the fairies each bless the baby, and in every version of Swan Lake, Odile kicks up her knickers at the ball. These are called variations. The choreography for these parts is held more or less the same. 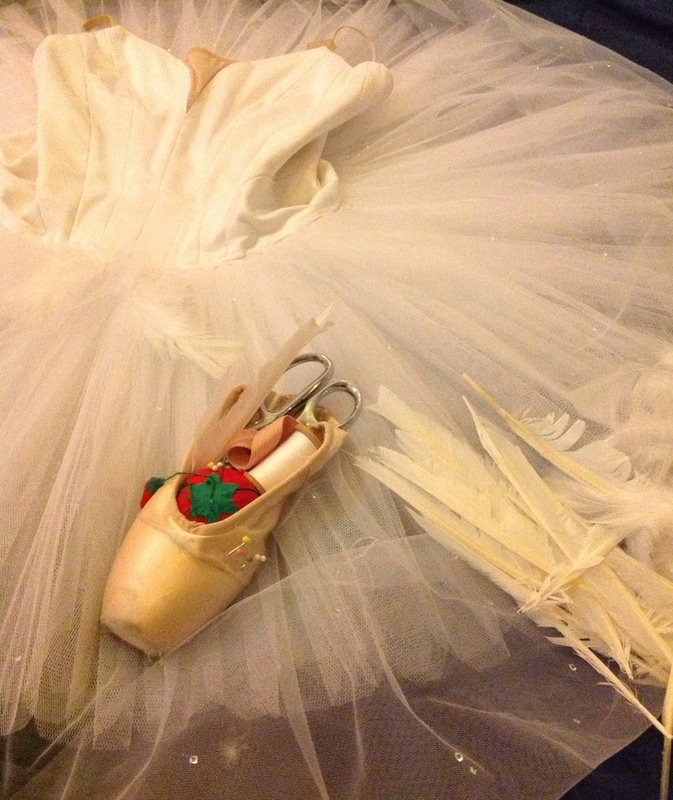 So, hey everybody, I'm dancing the Odette variation next month. If you're interested in that sort of thing, you can come check it out. In the meantime, Weasley and I will keep you updated on the feather factory. Once again, you're always there for me. Thanks, dear. How cool! I'm very excited for you, but I get the whole fear thing, I had a completely unnecessary grump at the boys when I was almost late for a very beginners adult ballet class. Maybe the tights constrict blood flow to the brain? Sounds like a dance I'd like to see. Going to check the link and my schedule and see if I can be there!